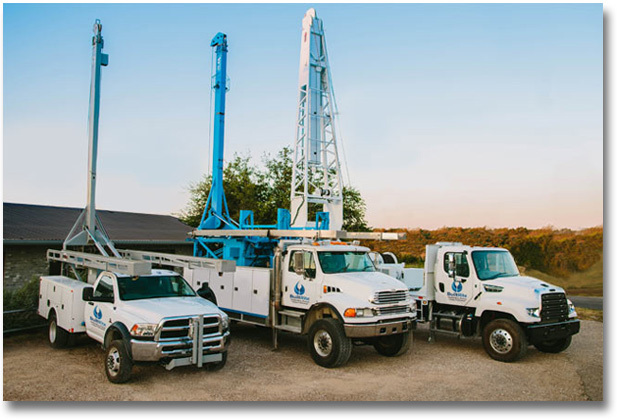 BuiltRite Well Drilling and Pumps has been proudly serving the well drilling and water purification needs of the Greensboro and surround areas of the Triad for over 40 years. We started our business with a single truck and a commitment to customer service and quality that only a small, family-owned company can provide. Since then, we have drilled thousands of wells in the central NC area and have acquired an unbeatable knowledge base of this area’s soil types and aquifers. This knowledge can only be formed with decades of experience in the area, and allows us to map out the very best plans for your specific needs. We are on call for you 24/7 when it comes to service. As can happen, well pumps reach their life and need replacement. Sometimes wells themselves need treatment. Other times, an “above ground” water system is needed to purify and/or soften the water your family drinks, cooks and cleans with. Diagnosing a well pump problem can be tricky. At BuiltRite Well Drilling, we have the right experience and decades of knowledge to diagnose and repair well problems properly and efficiently. 2. Request a dated, written estimate with complete details, pricing, and printed materials about company and product warranties. 3. Make sure the contractor will give you copies of all records upon construction of a well. 4. Ask for proof of adequate liability and worker’s compensation insurance.